Last week we talked about the Surbonne Lilies and also explained to you a little bit about the Lilies' family. The name Calla Lily comes from the Greek Calla which means "the most beautiful". 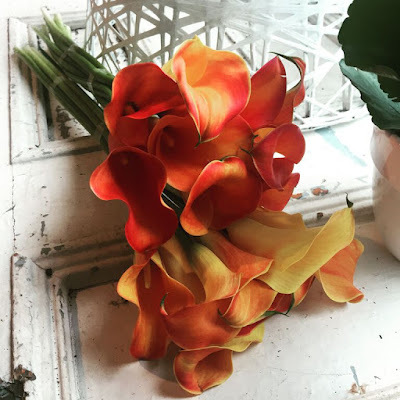 This week it is all about the Mini Calla Lilies. This small version of Calla Lilies can also be called Coloured Calla Lilies for the obvious reason: their bright and beautiful colours. This is what differs the Mini Calla Lilies from regular Calla Lilies. Visit us and get a free Mini Calla Lily when you walk into our boutique this week!